Bradford Ecumenical Home, Inc. is celebrating Grandparent’s Day on Sunday, September 13 from 1:30pm-3:30pm. There will be activities and entertainment with face painting and balloon animals from Coco the Clown, Dave Jeffers Magic Show, Caricatures by Eric Jones, fishing fun, bounce house and giant slide. Refreshments will also be served. It’s hard to believe that Bradford Ecumenical Home, Inc. will soon be celebrating our one-year anniversary of our handicap accessible van. The van came as a result of the combined efforts of Leadership McKean, Bradford Fairway Sales and Leasing, Inc. and the generosity of many donors. 4 Resident Transports to Family Functions, including 1 that was a visit on Christmas Day! 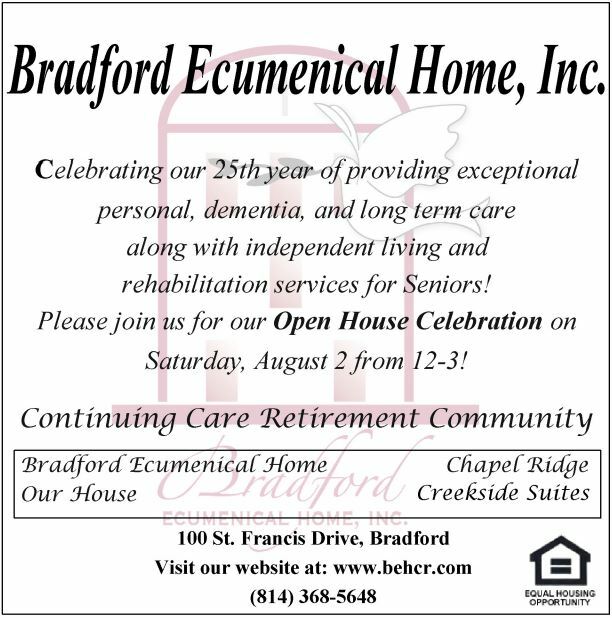 At Bradford Ecumenical Home, Inc., we strive to improve and enhance the quality of life for our residents. We are continually grateful for this van as it has made a significant, positive impact on our community. Glen Campbell’s family came to Bradford on Thursday as part of an Alzheimer’s Awareness event at the Pennhills Club and a showing of the documentary “I’ll Be Me”. In a new documentary, “I’ll Be Me”, famous country singer, Glen Campbell, shares his courageous journey with Alzheimer’s Disease. The movie also features the Academy Award nominated, Grammy Award winning song I’m Not Going to Miss You, Glen’s last recording. Bradford Ecumenical Home, Inc. is pleased to share this incredibly moving documentary with our hometown community with a showing at the Bradford Main Street Movie House on April 23, 2015 at 8:00 PM. In addition, they will also be hosting a VIP Event at the Pennhills Club from 5:30-7:00 PM featuring a live performance by Glen and Kim Campbell’s children, Ashley and Shannon. Information and tickets for these two events are available by calling 814-368-5648. Limited tickets are available so call or stop by soon! 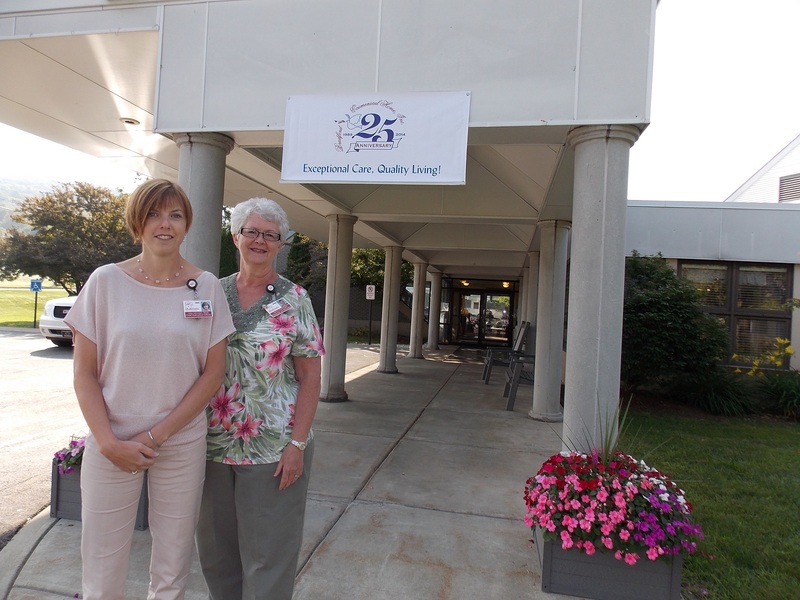 Celebrating our 25th year of providing exceptional personal, dementia, and long term care along with independent living and rehabilitation services for Seniors! Please join us for our Open House Celebration on Saturday, August 2nd from 12-3pm!